Fructose intolerance and malabsoprtion are disorders that affect as many as one in 20,000 people, according to the National Institutes of Health. In these cases, liver, kidney and digestive complications result if fructose is not removed from the diet. Varying degrees of the disorders exist, and low-fructose foods may be tolerated in some cases. If you suffer from these disorders, your physician can advise you on whether low-fructose fruits would be acceptable in your diet. The apricot is a stone fruit related to the peach that's been cultivated in China for at least 4,000 years. Today, California is the principal producer in the United States. Apricots are in season in June and July and last approximately 3 to 5 days in the refrigerator. A 3.5-ounceserving of apricots provides 0.9 grams of fructose. 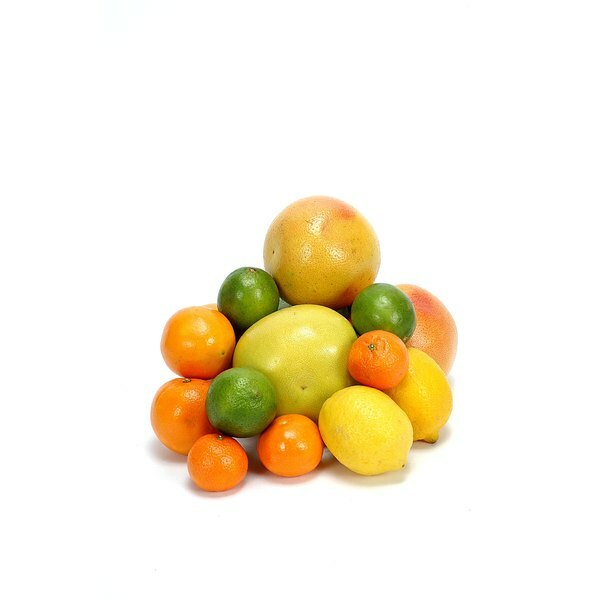 Citrus fruits are more tart than sweet, indicating the low fructose levels of grapefruit, lime and lemon. A 3.5-ounce serving of each contains 1.8 grams, 1.7 grams and 2.5 grams of sugar, respectively. A cantaloupe is a juicy, fragrant melon, also known as a muskmelon. Aside from its vitamin A and C content, a cantaloupe contains a low level of fructose. A 3.5-ounce serving gives you 1.9 grams. A strawberry is a hardy, extraordinarily flavorful member of the rose family. Most people would call it sweet, but its fructose content is low relative to most other fruits. It contains just 2.4 grams per 3.5 ounce. Buy strawberries in season from April to September. Many people consider the avocado and tomato vegetables, but botanically these are fruits. The avocado is rich in healthy monounsaturated fat, and it has a low sugar content: only 0.12 grams. The tomato ranges in color from yellow to red to purple, and is seasonal during the summer. In addition to its concentrated disease-fighting antioxidant content, it contains a mere 1.4 grams of fructose.